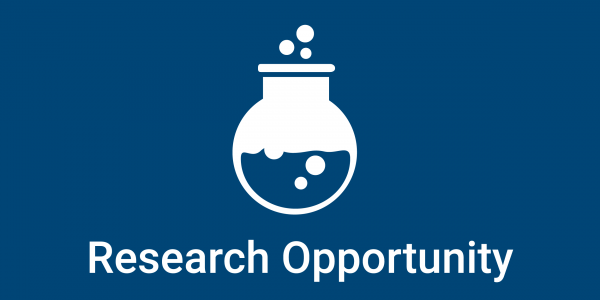 Affective Development and Psychopathology Team (ADAPT) is currently seeking research interns to assist our research program. These are voluntary positions that will provide valuable research experience, and opportunities for skill development. A letter of reference will be provided at the completion of the internship. Internships are bespoke and are typically one semester in duration, and 0.5 to 1 day per week during teaching periods. Students with a good academic record, relevant experience and studying psychology or a related discipline will be given preference. We are likely to offer 3 - 4 internships this year. There will also be scope for training in MRI techniques, clinical interviewing and biological sample specimen collection. Completing a research internship with us will also place you in a good position for taking up opportunities to be involved in the preparation of research journal publications, and take on further studies with us. Please note that both undergraduate and post graduate students are eligible for internships. The Families And Childhood Transitions Study (FACTS), where we are recruiting 160 mothers and their 8-year old children to participate in video recorded family interactions and child brain neuroimaging (MRI), as well as other psychosocial and neurobiological assessments. The MRI and other assessments will be repeated 18 months later. This will allow us to examine the influence of the family environment and stress on brain development, various indices of hormonal function and development, and mental health. This project is funded by the ARC, 2014 – 2016. The Imaging Brain Development in the Childhood to Adolescence Transitions Study (iCATS), where we are following 128 children who differed in when they started puberty, examining changes in brain development, hormonal function, and mental health through adolescence. This project was funded by the ARC (2012 – 2014), and we now have funding from the NHMRC (2015 – 2019). The Sleep and Education: Learning New Skills Early (SENSE) study, is a randomised control trial of a sleep skills intervention with 120 anxious adolescents to examine efficacy in reducing the onset of depression. Cardiovascular, endocrine and immunological indices are also being examined. This study is funded by the NHMRC, 2012 – 2016. Finally, we have a range of collaborations on other projects and data sets with the Murdoch Children’s Research Institute, the Brotherhood of St Laurence, the University of Oregon and Orygen Research Centre.